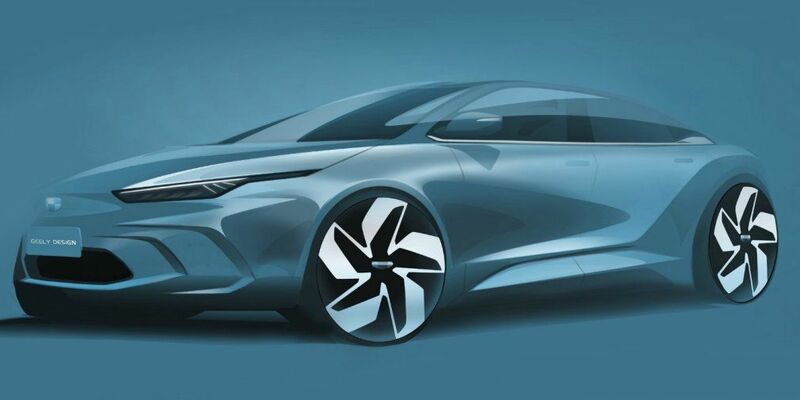 Geely showed a designer sketch of the newest electric car, which is positioned as an affordable alternative to Tesla Model 3. It is reported that this car will debut in the new year. Now the electric car has the GE11 index, and officially the name of the commodity machine will be determined by voting in the Chinese microblogging Weibo. The novelty has next parameters: 4,736 m long, 1.804 m wide, 1.503 m high, and the wheelbase 2.7 m.
An interior has a steering wheel with a sloping lower segment and a huge IRA sensor that serves to control many of the basic functions of an electric vehicle. An electric motor for 177 'horses' was prepared for Geely GE11, and this engine produces 150 km/h of maximum speed.